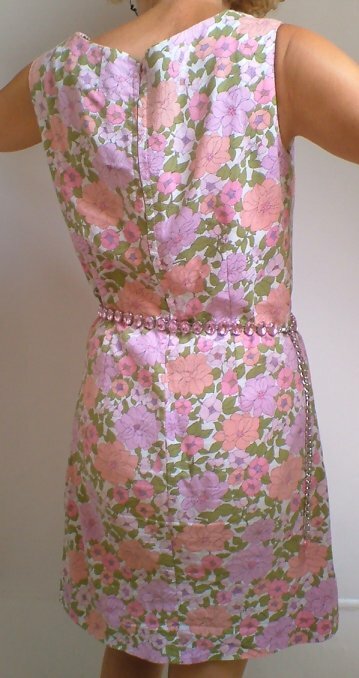 Sweet and simple vintage 1950s/60s flowered summer dress,. 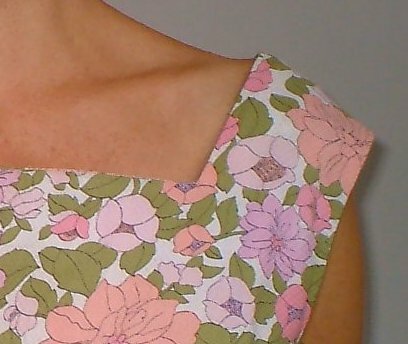 This sweet little shift dress was hand made sometime in the late 50s or early 60s. It has a square neck, is in a delightful flowerpower printed textured cotton, and fastens up the back with a long zip and a hook and eye. It can be worn with or without a belt (shown with a rather nice modern jewelled one, not included in this sale). Because this was hand made, there are no labels. It is well made and properly finished off. 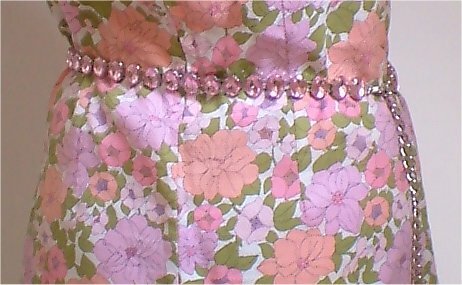 The fabric is delightful, and has a texture a little like kitchen roll! 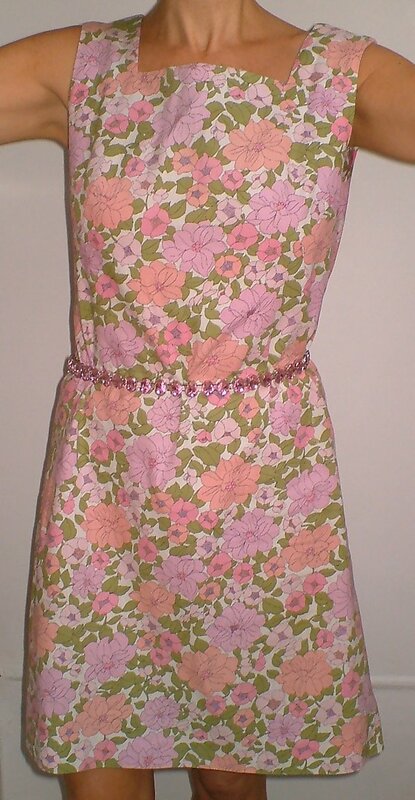 Approximate measurements are: under the arms 39 inches (99 cms), waist 34 ½ inches (87.5 cms), length 35 ½ inches (90 cms). Condition, as far as I can see, is excellent.